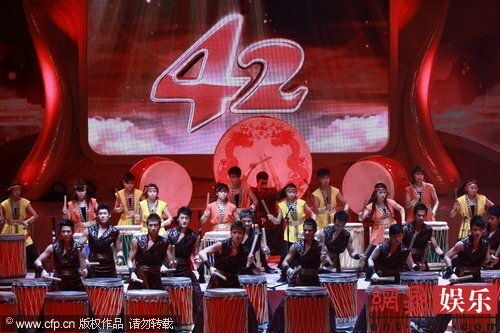 Finally I got the chance to watch TVB 42nd Anniversary Gala. I enjoyed watching it and its quite funny. 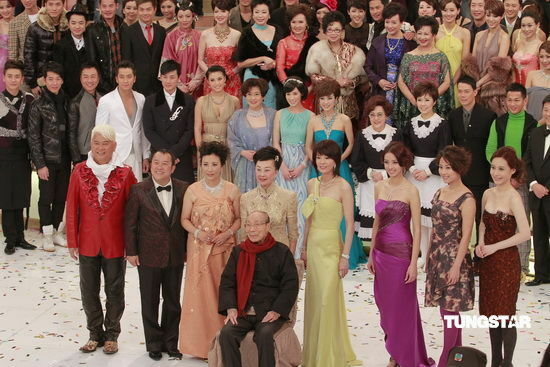 TVB Anniversary Gala has always been my favorite to watch. It brings the whole TVB family together and brings out a lot of love, comedy and excitements. Watching all the artistes participating in the gala, do bring out a lot of warmth and fun time and excitement everyone has, also the relationships between each and every artistes. Its like one happy family!! Pretty much to me, I really enjoy watching the Galas. 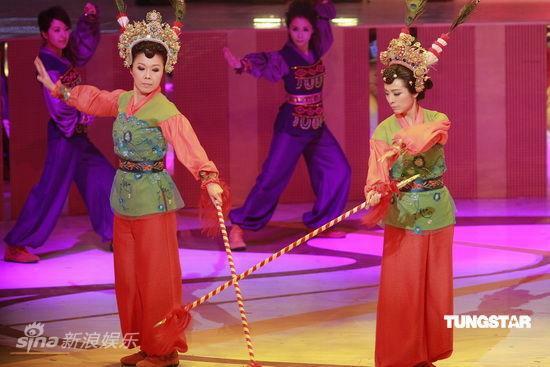 But I can see that each year, TVB is running out of ideas and lacking in making the Gala exciting. But no matter what I'll always support TVB and watch the Gala every year. This year was full of music and dancing and brings out different and a lot of artistes bond and relationship. I really enjoyed watching this year gala. TVB 2009 42nd Anniversary Gala was held on Nov 19th. TVB 42nd Birthday!! 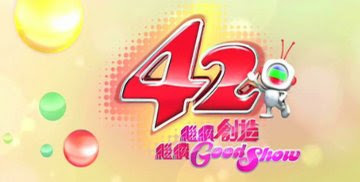 TVB 42nd 繼續創造 繼續 good show!! 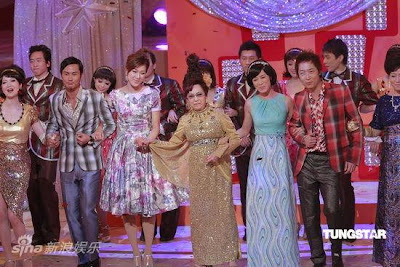 Bernice Liu, Fala Chen, Nancy Wu, Vivien Yeo, Yoyo Chen, Janet Chow, Grace Wong, Samantha Ko, Sire Ma, Kayi Cheung, Christine Kuo, Michael Tse, Bosco Wong, Ron Ng, Patrick Tang, Stephen Huyhn, Benjamin Yuen, Jack Hui, Joey Law, Timmy Hung, Lai Lok Yi, and Carlo Ng. I really enjoyed watching this first act. I can never be upset with Bernice and no need to worry for her. Bernice dances and sings so well and supports her!! Fala singing is getting improvement and Grace dancing is amazing just like Bernice. Don't forget Nancy dancing!! Bernice, Nancy, and Grace dancing was the Best!! I find Yoyo Chen's voice really sweet and smooth, not bad. Ron was amazing and had such a great voice, he didn't need to wear that yellow pants. He stands out with his dancing. Michael did a great job too. I like Bosco singing better then his dancing though. I love all the songs that they sang and I found Eric dancing at the end was quite funny. Michelle Yim, Susanna Kwan, Angela Tong, Sharon Chan, Sharon Luk, Sarah Song, Macy Chan, Leanne Li, Sherry Chen, Skye Chan, Joyce Cheng, Natalie Tong, Oceane Zhu, and Charmaine Li. I was really surprise and proud of Susanna and Michelle. Michelle said that they didn't had much time to practice together and they turn out great. The spinning by Susanna was amazing. Michelle did great too, even she had lesser day to practice then Susanna. Angela did a great job. I felt that Angela was the most lively one. Like she put more power into it then the others had. Truthfully I didn't really like this act but I really like the performance by Michelle and Susanna. 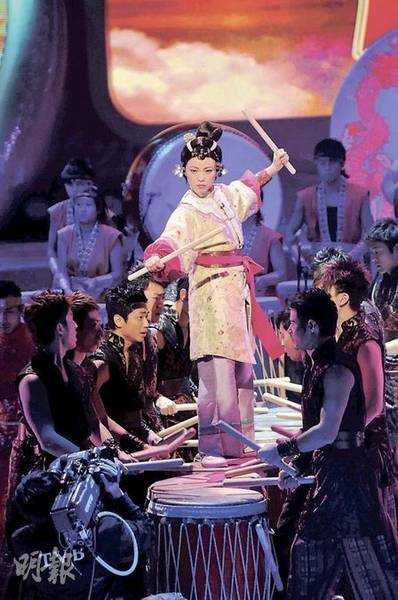 Lee Heung Kam, Charmaine Sheh, Kiki Sheung, Linda Chung, Shirley Yeung, Aimee Chan, Susan Tse, Suet Nei, Ching Ho Wai. Steven Ma, Kenneth Ma, Kevin Cheng, Shek Sau, Patrick Tang, Chan Hung Lit. Every year they always make me laugh. They still made me laugh this year but am I laughing at their stupidity? I think so... I didn't really like what they did this year. It was just plain weird. But Louis "Michael Jackson" Moves were quite good. The part when they talked about themselves, imitating as the judges made me laugh. I didn't like Johnson's act... it was just plain weird... I was like?? I didn't really like what they did this year. Sheren Tang, Moses Chan, Wayne Lai, Derek Kwok, Ben Wong, Raymond Cho,Jack Wu, Joel Chan, Vin Choi, Matthew Ko, Evergreen Mak, Dexter Yeung, Charles Szeto, Oscar Leung, Tsui Wing, Raymond Chiu, Jim Tang, Jason Chan, Pierre Ngo Ka Nin, Stephen Wong. Hmm.. I thought this was okay. This year is Sheren performed with the boys instead of Liza. I kinda enjoyed it but not as much. I was amazed how Sheren can walked through the drums with out getting hit. Well obviously she had lots of practice. But I thought her performance was amazing. His singing is always amazing. Doesn't disappoint and always support Hackeen!! I was amazed and must felt proud for the veteran actors, when their faces as youngsters appeared on screen. They were once TVB Fa Dans and Siu Sangs. They must been proud to support TVB all the way. Some faces I recognized but some were a huge change. Lols. I'm really impressed with Pierre and Grace's singing. Their voices do matches each other. But I like Grace dancing better..hehe xD. I don't know what to say, but I know that Nancy singing isn't that bad but I prefer her dancing and acting more. Fala is getting there, improving. Steven is just amazing. But Sheren and Wayne out shown them!! They were the best!! Eric Tsang, Wu Fung, Christine Ng, Angela Tong, Sammy Leung, Chin Ka Lok, Moses Chan, Sonija Kwok, Bosco Wong, Susanna Kwan, Lee Heung Kam, Wong Cho Lam, Koni Lui, Louis Yuen, Timmy Hung, Samantha Ko. Okay I got to say this was the most horrible performance I've seen that night. 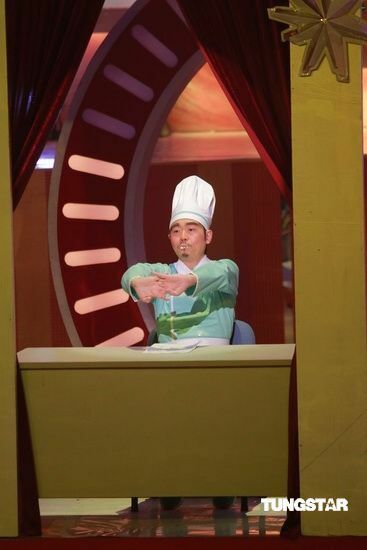 It was the worst skit in TVB history. First I felt like they didn't go over their lines, it look like they just put it in the last minute. They were just completely yelling on top of each other. But somehow it did made me laugh. I was probably laughing at how stupid it was. But I felt bad for Sonija's clothes and jewelry which cost million. Koni laughed made me laugh even more I don't know why. But all I can say that it was horribly put together. But overall I think I really enjoyed watching this year gala better then last year. I felt that last year was kinda boring cause I don't remember if I even watched it. I really like the dancing and the singing the best. Especially the Crossover one. A lot of Artistes didn't disappoint me, but some actually did. Like I thought that the three crazy guys, can do better then imitating people. But it was alright I guess. The skit was my favorite part, but it disappointed me. But I guess it doesn't really matter cause most importantly are the Artistes and everyone in the TVB family had a great time and their bond together. Also Luk Sir officially announced his retirement and this is the last TVB Gala he is attending. Wish Luk Sir healthy and enjoy his retirement. Experienced actor Chan Hung Lit (陳鴻烈) was a former Shaw actor. He joined TVB and played in many series like "Blade Heart", "The Dance of Passion" and recently as "Dai Yim Shan" in "Off Pedder". 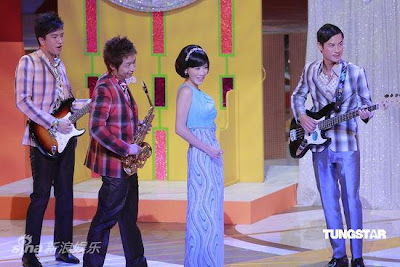 Around 4:30pm on November 24, 2009, Chan complained of a sudden chest pain in TVB's dressing room. Although hospitalized immediately, unfortunately, he was certified dead at 7:11pm the same day after 2 hour of rescue, aged 66 years old. 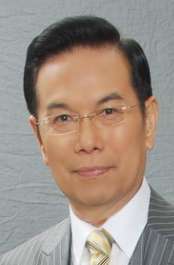 TVB executive Virginia Lok announced the death of Chan 15 minutes after he was certified. Around 6pm during the rescue, many TVB artistes went to the hospital to visit, including Charmaine Sheh, "Off Pedder" actors Stephen Au and Florence Kwok. Happy Birthday Kenix!!! Wish you a great health, happiness and fortune. Hope you'll have more functions, photo shoot. 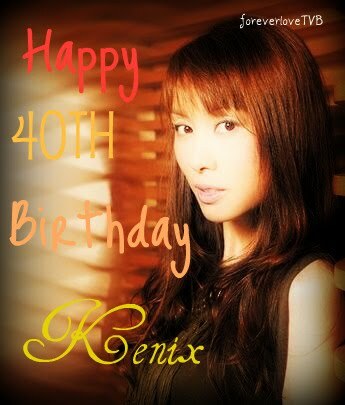 But don't overworked yourself.=] Kenix you had just turned 40 and starting another year. I just want to wish you all the best this year. With the new baby coming. Most importantly do your best and I would always support you no matter what =D Also good luck with your new family. 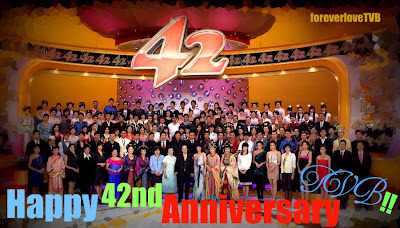 Happy 42nd Anniversary TVB!!! Wish the company well and everyone of you happiness. Thoughts: Well Michael and Bosco and Sunny is in here. But am I really looking forward to this series though? Maybe I will, it depends if they do anything to it. Thoughts: No lie but other from John. This series is dot dot dot to me. Thoughts: Come on!! What happen to the Forensic team?? I'm not going to watch this series without the rest of the crew!! Thoughts: Umm I'm not so sure about this one. Well it even be flimed? Maybe it would. The title do sound interesting. But other from Bosco and Bowie, I don't really like how its Amiee and Bosco. I also hate how Amiee is listed infront of Selena Li. Isn't Amiee status is lower then Selena? Even Selena is not even in the poster. Thoughts: Probably not. I like how Ron and Roger is in here. Thoughts: The title do sound interesting but would I watch it? Depends. Thoughts: There's Tavia and Michelle and Kevin, but I do need to read what its about first. Thoughts: What is with the title O.o Bosco and Amiee Again?? Probably not. Maybe I'll give it try. Well always remember that, this is just a Sale Representation. It might not be true and confirm yet. So my views toward all the 2010 series, might change. Even like the one that I'm interest in. TVB can always make a change to it. Not that many series are interesting to me this coming year. But in some series, the title doesn't stand out. The cast for the series do stand out to me though. But some casts I don't like that much are put in the same series as the one I like. 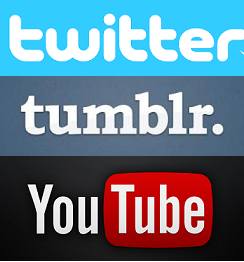 Here are the series that I'm interest in. Thoughts: I like the cast for this, but maybe I'll watch it or I'm just going to watch it for the cast. Thoughts: Yes!! I'm kinda interest in this series, sound okay to me and love the cast. Thoughts: Looking forward to this series and love the cast. Thought: YES!!!! My series this year..lols xD Love the cast alright!!! Thoughts: Yes!!! Been waiting for it and excited, interesting cast. Thoughts: The title sounds interesting, but would it be promising? I hope so... Raymond and Bosco!!! Thought: I'm actually Looking forward to this series xD Love the cast!! Well always remember that, this is just a Sale Representation. It might not be true and confirm yet. So my views toward all the 2010 series, might change. 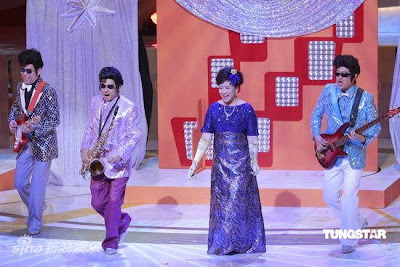 TVB can always make a change to it. I finally finished with D.I.E Again. I always thought that, the prequel are always better then the sequel. But I was completely wrong. After knowing that there would be a second version to D.I.E I was hyped. I really loved the first part so I was really excited. I couldn’t wait for the release. But while in that time period, waiting for the release, I had a different thought. Most series that I had watch the sequel were never better then the prequel. Also D.I.E Again is from a different director. But after I watched the first episode.. I loved it. D.I.E Again had grown to my expectations. Once again, the D.I.E family is back in action. All the cast were awesome and they all captured my heart. I really don't have anything to say... I'm speechless. The series was really good. I thought it was well written and the cast was amazing. Well maybe there is something to say about it. But first lets start with the cast. These are the cast that I wanted to talk about. But we can never forget the rest of the D.I.E crew. Like Siu Fung Jer, Mei Wun and Pierre. Also the two new cast that joined the crew. Pak Ji and Shu Bong. I really like how Him Law has a hair clip in his hair all the time. I thought that Macy Chan was better in here then Pages of Treasures. I grew to like her in here more. I guess you can say she improved? We can never forget the warm and funny D.I.E crew. Without this crew, it would not be D.I.E. I kinda felt bad for Dai Hao Ying, he was chased by Madame Ying all the way from D.I.E to D.I.E II. I like Siu Yi better then So Bik, but So Bik was funny too. She did made me laugh. All the couples were great, not that bad. But Roger and Sonija did had the best chemistry. I really love watching these two couples. The baby chemistry with Lo Sir was cute too. one more thing.. I hope that A Watchdog's Tale doesn't get push back again..